Spring started on March 20th but only in these days arrived warm temperatures. So we inform you right now about our three products of the Happy Design collection, strictly in solid beech, which allows you carefree leisure hours outdoor, giving also joy and color to your outdoor area (garden or terrace). 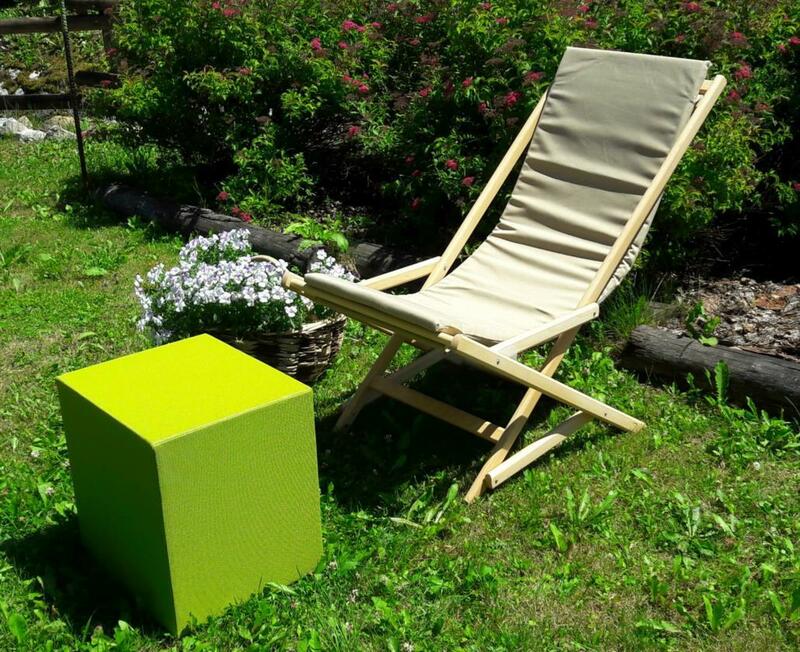 Dondolina is a fold-up rocking deck chair with a playful design. Thanks to the range of colors available (13 colors at your choice) becomes a decorative element and a design rocking chair. Cushion are covered with acrilyc fabric or textilene water-proof, both ideal for outdoor use. Perfect for an aperitif in the garden with friends, Zeus is a large tray table in solid beech wood. The large top tray, decorated with the engraving of a pretty flower, stands on the folding base, turning into a practical coffee table. This wood coffee table tray is available in 8 different colors: natural, fuchsia, red, acid green, dark gray, light gray, white, light blue. 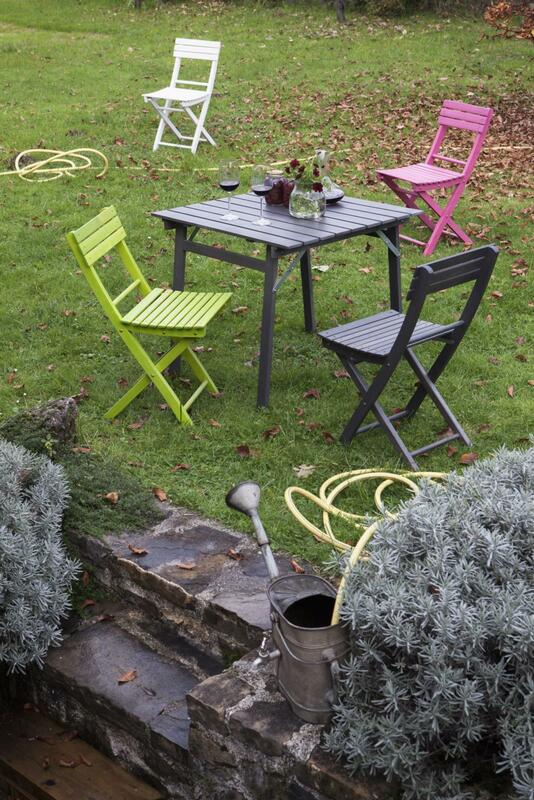 Here is the perfect match for outdoor meals: the Basic folding wooden chairs with the Garden table, always folding. Essential and timeless lines for both products can be enriched with a touch of cheerfulness thanks to the colors available in particular for the chairs, which can be chosen in different colors. Graphics Claudia Barberi Web Bo.Di.